Gerben ter Riet MD PhD is a clinical epidemiologist with a keen interest in the intersection of research integrity and methodology. He is a principal investigator (PI) at the University Hospital of the University of Amsterdam (AMC-UvA). His main interests are transparent reporting and linguistic hedging, P-value bashing, reproducibility, publication bias in animal research, and better monitoring of research proposals on their path to publication. He co-authored the Dutch research programme on Fostering Responsible Research Practices. 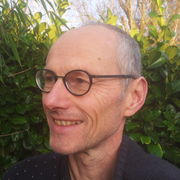 He also serves as a methodologist in the AMC medical ethics committee and is active as a methods and statistics consultant to the AMC departments of geriatrics and cardiology and the ACHIEVE centre for applied research at the Amsterdam University of Applied Sciences.